In this chapter, we discuss the concept of financial feasibility introduced by the late James Graaskamp. We also review two commonly used techniques in feasibility studies, the front-door analysis, and the back-door analysis. 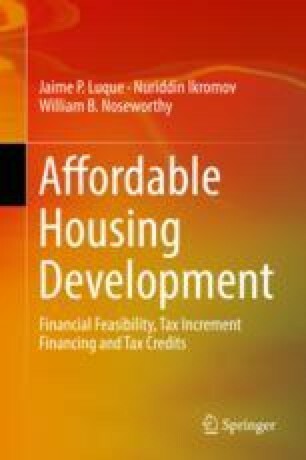 These concepts and techniques will be used in subsequent chapters to assess the impact of location and financial subsidies, such as Low Income Housing Tax Credits and Tax Increment Financing, on the feasibility of an affordable housing development project.